Ryan from TWIN SIX just dropped this on my desk. 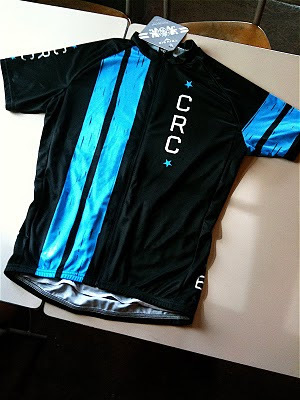 We'll be busy filling *jersey orders in the next few days. And if you still need to order yours, get on it by clicking that Paypal link on the right-hand side of this site. Bibs are still a few weeks out. No pushing, no shoving. Decorum, people! *If you've pre-ordered a complete kit, but would like us to ship the jersey now and the bibs later, that's cool. Just send me an email (hurl[at]carsrcoffins.com) to let me know. If we don't hear from you, we will wait and ship the whole kit once bibs arrive. Many Thanks.